Standing approx. 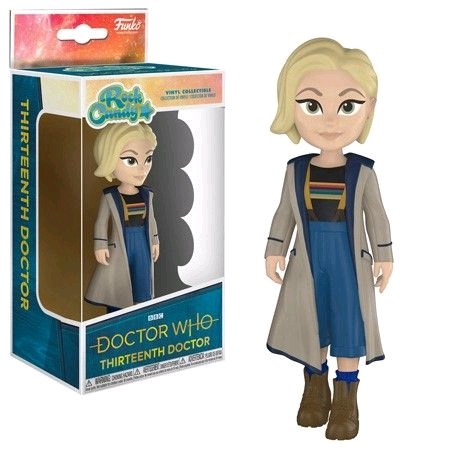 5” tall and sporting her signature coat-and-suspenders look, this is set to be the first Thirteenth Doctor figure available to Australian fans. Modelled in the distinctive retro feel of the Rock Candy style, this figure is fun and colourful, much like the new Doctor herself!